Hi all! I’m so excited to be hosting the 2nd official Munchkin Meals© link up. There was so much positive feedback last week and enjoyed clicking through to see what other children are eating. I got some great ideas for Hailey and who doesn’t love looking at cute babies, right? 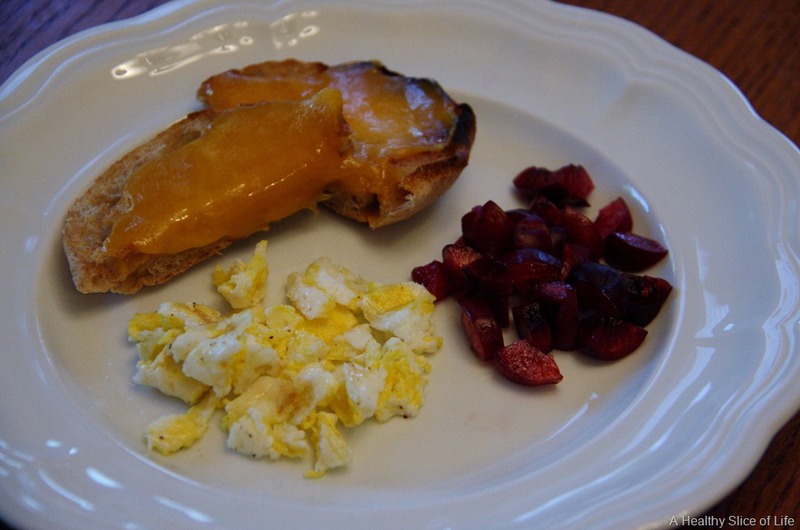 -Munchkin Meals© is for all kids, not just babies! 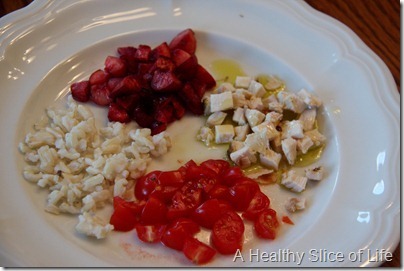 If your baby is 8 months or 8 years old, join in and show us what they are eating! -The official hash tag for twitter is #munchkinmeals so feel free to spread the word! -To link up, you will need a blog because a backlink (a link from your site to mine) is required. -For now, this link up will be held every Thursday, so don’t forget to snap your pictures! OK, I think that covered most of it! So, what’s Hailey been eating? Scrambled egg, wheat English muffin with cheddar and cherries. 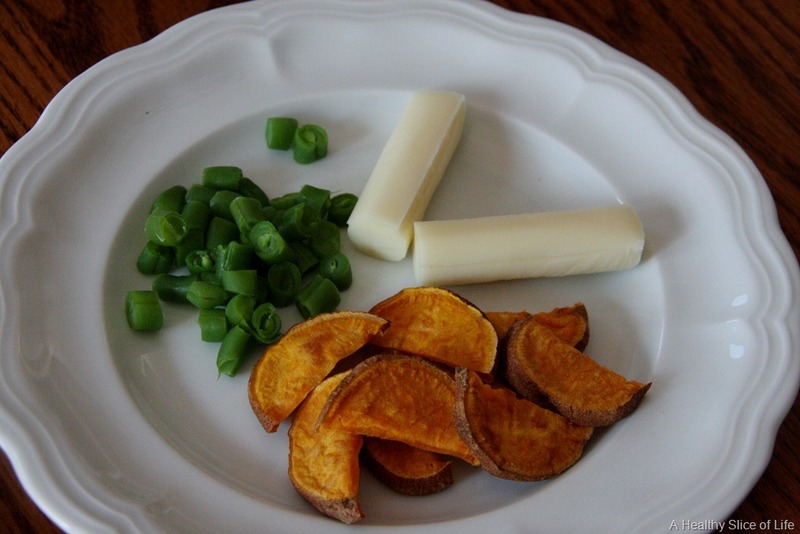 Organic green beans, organic sweet potato and string cheese. 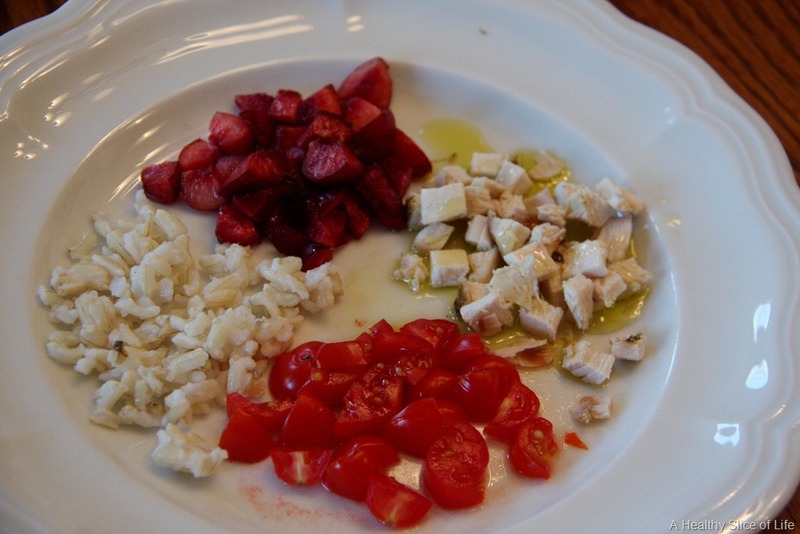 Grape tomatoes, chicken and brown rice with olive oil and more cherries for dessert. What can I say, we love our cherries! It was a pretty simple day of food. I’m looking to switch things up and offer her some more fun combos (like the braised cod and vegetable orzo that she loved!) to try. I’m always looking for new ideas, so show me what you got! I would totally eat everything Hailey is served! 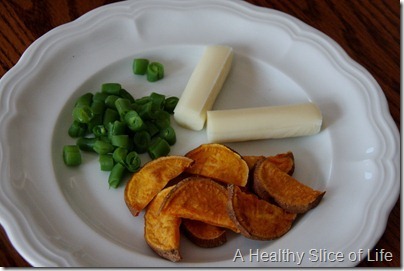 The sweet potato looks amazing! Thanks for doing this- it is so much fun! I’ve never done a WIAW in my whole blogging career…but I am LOVING this series!!!! Yey! I can’t get Ella to eat eggs. I’ve tried many ways, and she just isn’t into them. I will keep trying here and there, because it’s SUCH an easy quick meal for her! Here little meals are SO cute! I think it’s awesome you’re doing this. Glad munchkin meals are a hit! I love seeingwhat all the little ones are eating. Does she really eat all that? 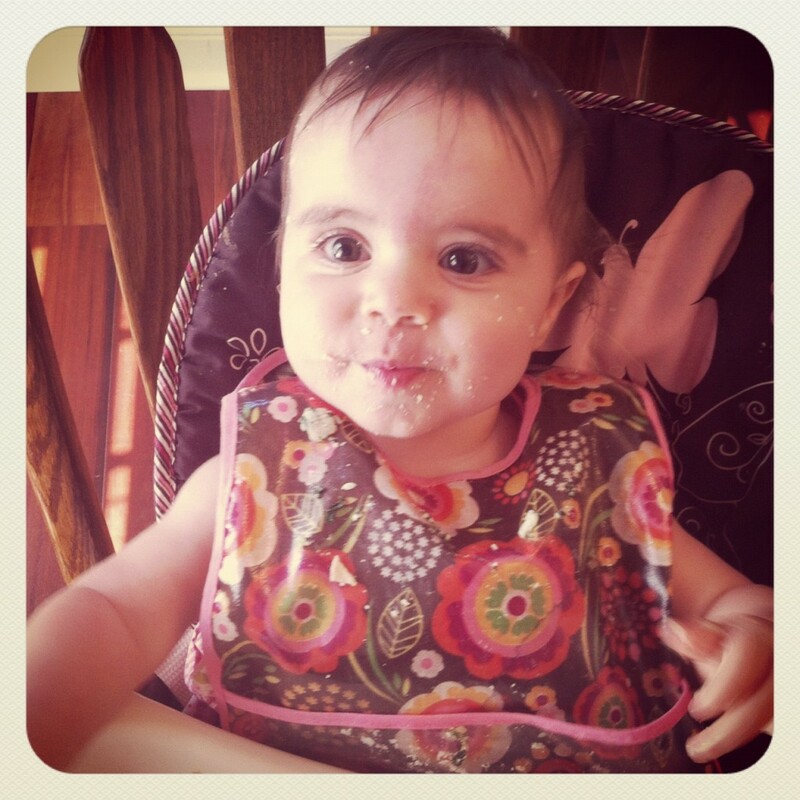 Amelia is 7 months but still has some tongue thrust so she will do a bit with finger foods but would never get that much down…hopefully that will go away soon so we can eat yummy meals like you guys! It differs based on how hungry she is and yesterday she didn’t eat all the egg (because she won’t eat it once it’s cold-haha! ), but for the most part she is a pretty hardy eater. Nice job again! I guess I missed the link-up. Any way I can still do it? Uhh, I picked the wrong picture and don’t know how to chage it! Sorry for the non-food pic!! I love that you post about Haileys Meals, we plan to start BLW when TJ is old enough (he is only 4 months) and this linkup helps me so much in figuring out what he can eat and when. He will be heading to daycare starting around his 6month birthday and I am hoping they don’t mind BLW. Fun!! Your daughter’s meals are too cute! I think I would like to join. We are just starting to try more finger foods! Can you ask people to include as many recipes as possible? I don’t even know how to make a sweet potato for my 14 month old! But there is also a free resource for baby “recipes” – the site is http://www.wholesomebabyfood.com. I love looking at these meals. Gives me new ideas for feeding my 8 month old. The best thing about it- seeing how people cut up different items for their babies. Sometimes you want to give them something but don’t know the easiest way for them to handle it.